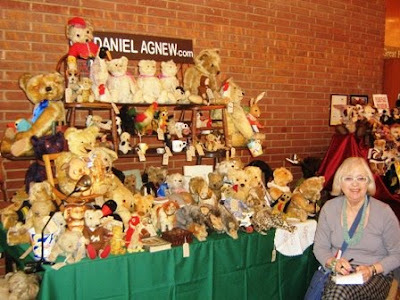 Tomorrow (depending on when you read this), is the Winter Bearfest at Kensington Town Hall, London, this Hugglets event is huge and has hundreds of stands filled with thousands of old and new teddy bears. I'm stand 77 in the first hall, this is my stand a year and a half ago and this is my mum who helps, chief account! 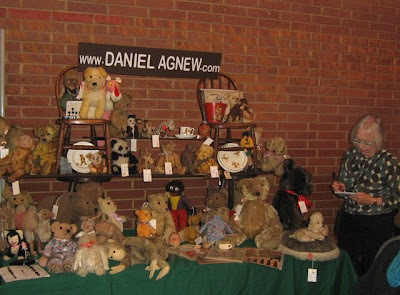 I have a great selection of bears and soft toys for this event, just finished pricing and packing. The public opening is from 10.30am until 4.00pm. If you are in London, why not pop along and say hello.